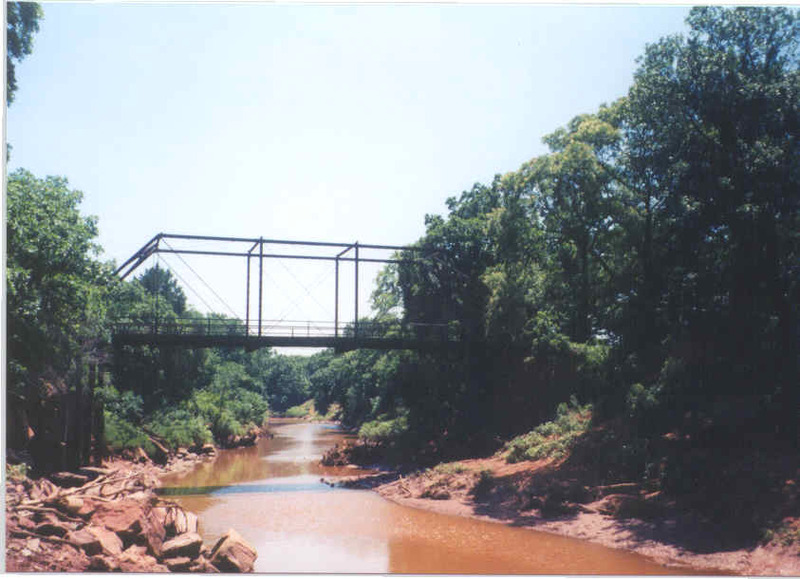 The structure you see in the photos above and below are those of a 100 foot long Pratt Truss crossing Beaver Creek shortly before it dumps into the Cimarron River. 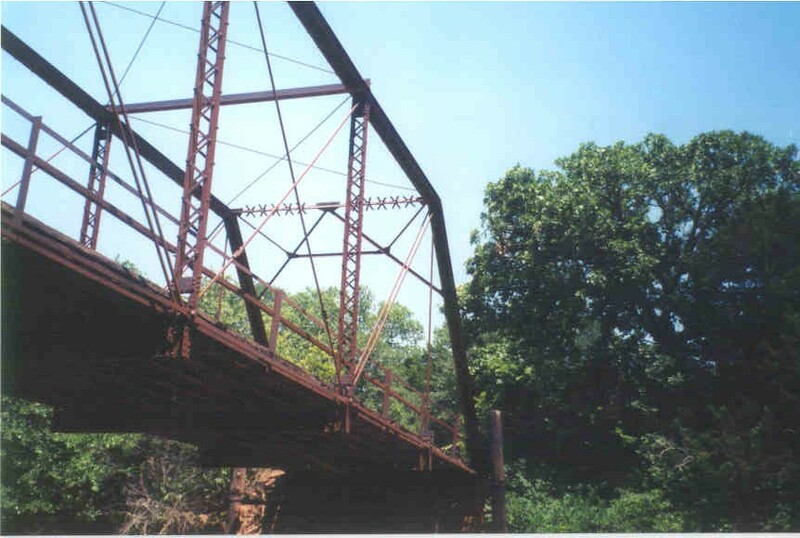 The structure rests on beautifully constructed stone masonry foundations and the bridge crosses very high. In the bottom right-hand photo you can see piles below the bridge on the left side of the photos. These are to help prevent the rock that the stone masonry sits on from being under cut by the action of the running water in the creek. 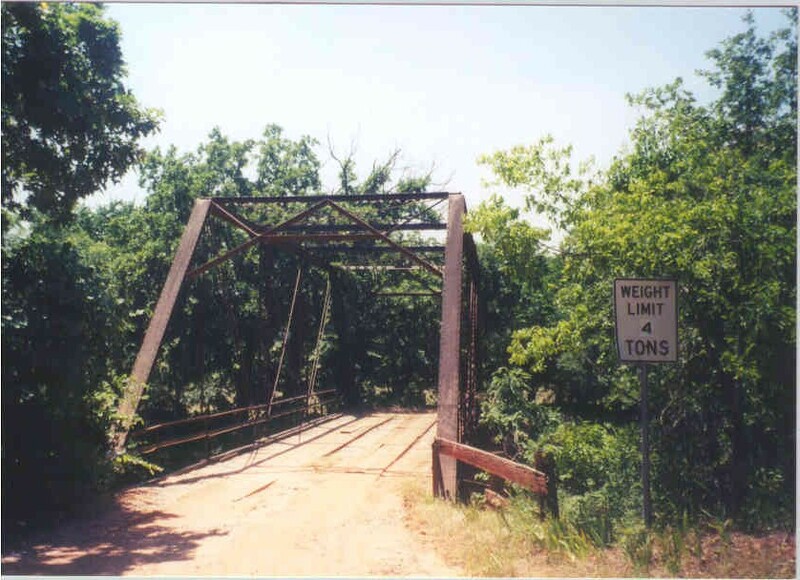 This bridge is nearly identical to a slightly longer span spanning Otter Creek. 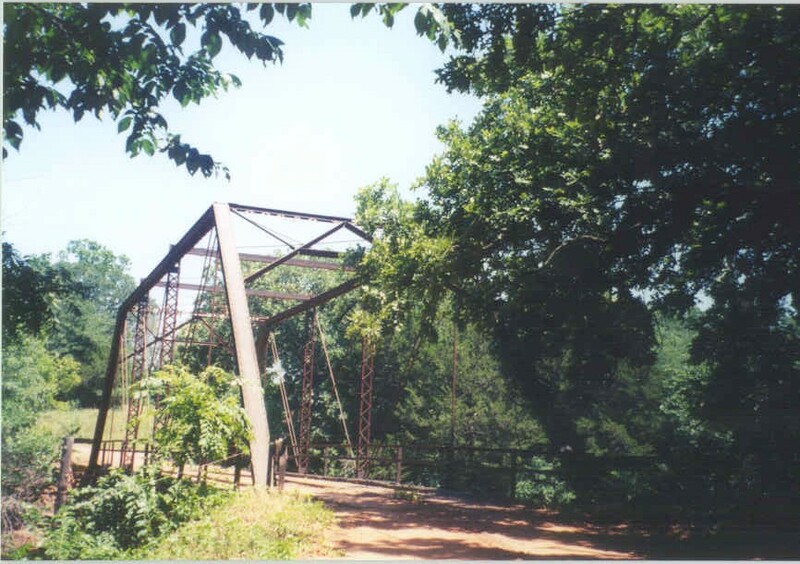 A few miles upstream from this bridge stand the stone masonry piers of a similar, longer, higher span that was washed out by heavy rains in the spring of 1995.